Fred Peursem travelled with us to Army’18 at Kubinka. During that tour he made a picture of a MiG-31K with a ‘Kinzhai’ missile. 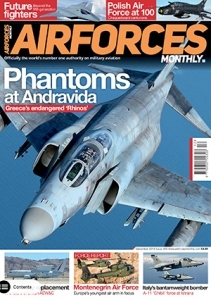 That picture made it to the December 2018 edition of AFM: Air Forces Monthly Fred Peursem. Really enjoyed travelling with you all guys and had a great time.